Description: Quick Silver! 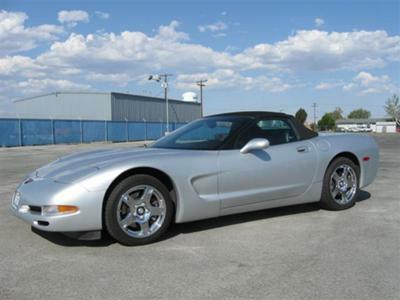 Fast and Fun, this 1999 Corvette Convertible is in excellent condition inside and out. 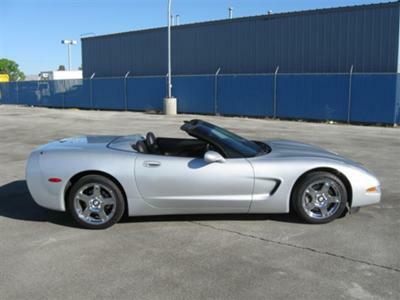 Includes 2 driver memory, dual climate controls, power telescoping steering wheel, front and rear window defrost, flip-up headlights, TCS with on/off button, PW, PL, PM, and much MORE! LOVE what you drive! Legendary American Muscle is waiting for you...but it not for long. This one will go FAST at this price! 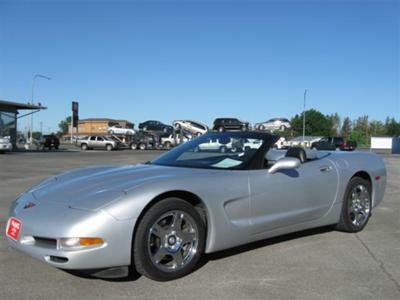 Includes: 4 Wheel Disc Brakes, 8 Cylinder, Driverside Air Bag, Air Conditioning, AM/FM Stereo, Power Seat, Automatic Transmission, Center Armrest Console, Cruise Control, Cassette, Premium Wheels, Dual Air Bags, Dual Climate Control, Fog Lights, Power Lumbar Supports, Leather, Aluminum Wheels, Map Lights, Power Locks, Power Mirrors, Power Steering, Power Windows, Rear Wheel Drive, Rear Defroster, Remote Keyless Entry, Programmable Seats, Security System, Tachometer, Trip Computer, Trip Odometer, Tilt Steering Wheel, Traction Control, Visor, LS1 engine puts out about 345 HP!!! Financing available! only 7.9% sales tax! 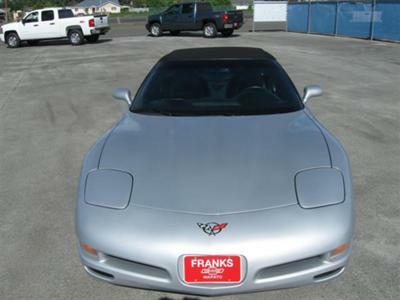 We CARE MORE for our customers at Frank's Chevrolet! Join in and write your own page! It's easy to do. How? 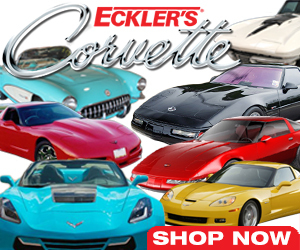 Simply click here to return to Corvette Classifieds!.